Orinda Plumbing offers full service plumbing and repair. 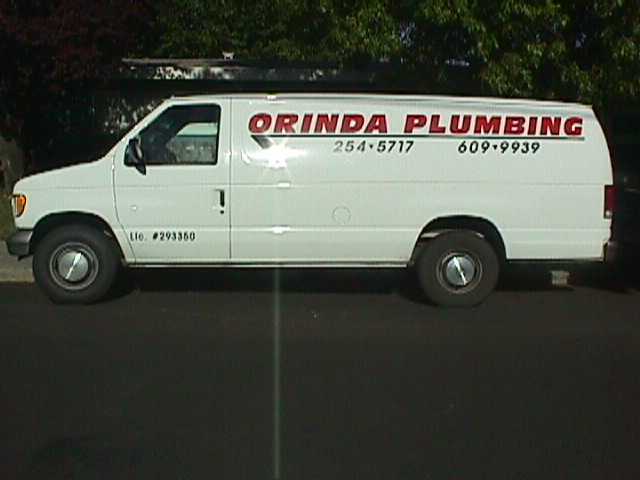 Orinda Plumbing is an established plumbing company that has been located in Orinda, California since 1971. Orinda is located approximately 20 miles east of San Francisco. Our main area of service is the East Bay Area -- Orinda, Moraga, Lafayette, Danville, San Ramon, Concord, Pleasant Hill, Martinez, Walnut Creek.